I was so excited when I found out about Terranova Nutrition! Why? Well, as you'll see below, they sell good quality supplements, which are...wait for it...plant-based AND additive-free! The thing that grabbed my attention even more, was understanding how their holistic vision ran through their veins and brought them to where they are now! Their aim is threefold! So it must be more expensive right? Plant-based AND no additives. Such a niche market would have to be more costly to the consumer. Nope! Their products are LOWER than virtually every non-vegan, additive-laden premium brand of supplements in the natural products industry. Want to find out more? Below, you'll find the responses that Stephen Terrass shared with me. What did you do before you launched Terranova Nutrition? I started my career back in 1980 in the US - originally running a small health food store, followed by the first of the giant natural foods supermarkets to be opened in the midwestern United States. I eventually entered the manufacturer side of the industry while still in the States. In 1990 I was asked by the owner of Solgar to help him develop his European business as Technical Director, a decision which brought me to Britain. After leaving Solgar in 2002, I did consultancy work in the industry for a while and then my wife (a pharmacist) and I bought a pharmacy in Mayfair, which we gradually morphed into a holistically oriented pharmacy. We sold this in 2007 and started Terranova in 2008! What made you create it? A few years after leaving Solgar, starting a supplement company was the most logical evolution my career could take. Because of my responsibilities in such a high profile company you could say I was in the ideal position to understand what was valuable and what was flawed about the industry, and the experience I gained over the previous years gave me very strong views on how I felt about supplements and how they needed to evolve. In my view, this evolution needed to address the fundamental limitations in the effectiveness of supplements and herbal products and needed to encourage business principles or ethics that would be consistent with the core values of the natural health field and the consumers who were focused on personal wellness (in all its forms). What is the aim of the products you sell? Well, each product has it's own particular range of potential benefits, but generally the common thread is most simply explained through expressing the fundamental aim of the brand...i.e. the over-riding goal of our products is to embody complete nourishment, deep healing and profound well-being. In a broader sense, we also aim to evolve supplements away from the reliance on the misguided 'reductionist' paradigm the industry has become obsessed with since the mid-1980s. This obsession has led to a gradual 'pharmaceuticalisation' of both the nutritional and herbal products sector, leading us down a dead-end street. By this, I mean making supplements stronger, but not more effective; making products more adulterated and focused on isolated nutritional or herbal chemicals; and making products less versatile and more prone to imbalanced effects on the body, adverse reactions and side effects. The key to achieving what is probably the non-commercial portion of EVERY supplement company's aim - to provide safe, effective products - will best be achieved though moving supplements and herbal products in a very different direction to where they have been heading, but while retaining whatever aspects are useful and salvageable from the pharmaceutical technologies that our industry uses (and there are some worth holding onto, at least at the present time). Why do you have such a specific range of products? Why not sell other non-plant-based things? The range is quite broad in terms of the types of products we offer, but, yes, it certainly is specific in its nature in terms of the strictness of its ingredient standards, manufacturing principles and formulation concept. I spent a significant chunk of my career as the person who was responsible for educating (and justifying to) the industry and media the approach, standards, ethics and so on of a company in which I had no control over the approach, standards or principles I was talking about. As you can imagine, it is so liberating to now be in a position where we have complete control over these issues. This means that our vision, ethical stance and business practices cannot be diluted or compromised by anyone. Essentially, Terranova is the baby that was born out of this freedom to express the best that we could possibly make the company, its products, ingredient standards and its business practices and ethics - no compromise, no dilution. The 100% vegan status of the range and the 100% avoidance of any fillers, binders or any other manufacturing additives were a couple of the significant manifestations of this freedom. We had a strong desire to create a 'safe haven' for the many consumers who have limits to what they can buy, use or take...limits which narrow their choice to a significant degree. Vegans (or those who need vegan products due to their religious affiliation) and those who can't take or don't want to take pharmaceutical additives are examples. Our vegan status also helped people with sensitivity to dairy products to have a range of products that was suitable. As you've experienced in your own journey, checking labels becomes an all-consuming task. 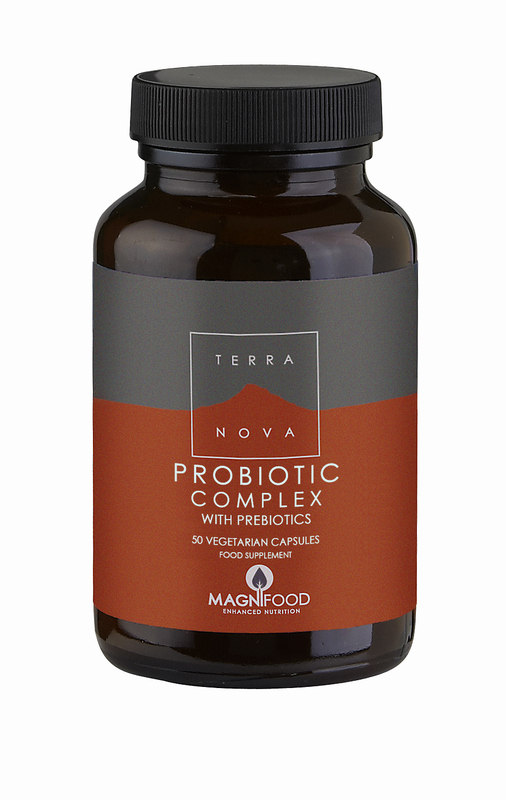 We wanted vegans, in particular, (or those who needed vegan products) to know that it if was a Terranova product it was a vegan product. There is absolutely no attraction whatsoever to moving away from 100% vegan suitability. Although the audits that we have to carry out to ensure the suitability of raw materials have been challenging at times, we have never found it an overwhelming difficulty to avoid non-vegan ingredients. With this is mind; although there are many vegan-suitable supplement products available on the market from many companies, I cannot understand why it's almost impossible to find larger supplement companies (i.e. 50 or more products) which are 100% vegan - anywhere in the world! Admittedly, certain ingredients which are almost always non-vegan (such as probiotic raw materials) are much more expensive in a vegan form for companies to use in their products, and some ingredients have no proper vegan substitute (such bee propolis). But if a full-range supplement company wants to be fully vegan then they can do it without any insurmountable barriers and with only minimal limitations to the types of products that they can offer. I suppose that the impression of most supplement companies is that the number of consumers who will not buy a supplement unless it is vegan and/or additive-free is too small to make such a sacrifice. We disagree with this impression. One doesn't need to be sensitive to additives to prefer additive-free products, just as one doesn't need to be vegan (or even vegetarian) to prefer to use vegan products. Given a choice between an additive-free or additive-filled product with more or less the same active ingredients, I believe the consumer would choose the additive-free version virtually every time, especially if the price was broadly similar. I believe that it would be a similar scenario with choosing between vegan or non-vegan. The problem is that additive-free products (especially with the composition of Terranova products) are often significantly more expensive to manufacturer than if you use additives. This is the main reason why they are used by all but a few vitamin companies throughout the world. To a smaller degree, the same is true for vegan products. So imagine how much more this would apply for a additive-free AND vegan brand. This is why it came as a great shock to the industry when Terranova hit the market with prices that were LOWER than virtually every non-vegan, additive-laden premium brand of supplements in the natural products industry. Typically, only the lower-end brands and mass-market brands in supermarkets and pharmacies were less expensive. This proved to the industry that vegan and additive-free could BOTH be affordable and sustainable...and thankfully, our success in the market has been a vindication of our decision to have these standards and is proof that the market for such products exists, and in a big way! We understand the sacrifices, financial and otherwise, associated with doing business in the way we do, but the reality is that it is not only completely sustainable for us to do business this way, but it has made us infinitely more successful than we ever would have been if we had instead adopted the typical approach used in our industry. We might not have known this in the beginning when we initially made these decisions, but it didn't take too long to sense the potency of these principles in the attraction people had to our company and products. After all, having the strictest ingredient standards and brand ethics doesn't narrow your market, it actually widens it! It makes your products and brand much more inclusive. Strict standards and ethics don't alienate the people who aren't that bothered by standards or ethics - it actually often serves to educate the 'not too bothered' and can turn them into people who seek better standards in what they take and better business practices in the brands they patronise. On the other hand, sticking with the normal standards excludes those consumers who want or need a stricter standard. When your products are additive-free, vegan, provide a multitude of organic ingredients and are STILL more affordable than the other high-end brands, I suppose people run out of reasons not to use your products and support your brand. So moving away from our chosen course would not only run contrary to our personal and business principles, it would also undoubtedly be bad for our business! Do you live by the message you share with your clients? Considering the previously mentioned challenges and significant additional costs, it's hard to imagine a company owner with a large range of products choosing to go down the route of such strict standards (such as additive-free, vegan compliance) if they themselves didn't internalise these principles, or at least VERY strongly empathise with them. If you feel strongly enough about ethics to build it into the DNA of your business from the very beginning then we believe this actually strengthens your internal connection with these principles. It also sets a standard which hopefully others will emulate. As a family we have a 100% vegetarian and nearly vegan diet, partly due to principles, partly due to allergies, partly due to religious affiliation and partly due to health necessity. We juice fresh, organic vegetables every single day and we are daily consumers of a broad spectrum of nutritional supplements and organic superfoods. The beneficial effect of all of this on our lives has been dramatically evident. What is the 'pleasure trap' and how do we get out of it?